Trending at $219.00eBay determines this price through a machine learned model of the product's sale prices within the last 90 days. BIG SCREEN! BIG DRIVE! BIG PERFORMANCE! SMALL PRICE! Windows 10 x64 Professional. Hard Drive: 500GB 7.2K 3Gb/s SATA 2.5" HDD. SHIPS FAST - WINDOWS 10 - GREAT DEAL - SALE !!! Super fast 256GB PCIE SSD. Almost zero bezel on screen. Gently used. I hate to part with it. My loss is your gain. Windows 10 Professional fresh install. Excellent condition. Less than 3 lbs. Product Model : 3185. Processor Manufacturer : AMD. Make: Dell. Product Family : Inspiron 11 3000. Introducing Dell Cinema with incredible sound and streaming. Product Type : 2 in 1 Notebook. Product Line : Inspiron. Display Type: QHD Anti-GlareLED-backlit Touchscreen. Hard Drive: 256GB Solid State Drive. JOHN 3:16. WOW! THE SACRIFICE HAS BEEN MADE! What you will receive 65W AC Adapter. Genuine Windows 10 Professional (64-bit). Our team of technicians has tested this laptop. HARD DRIVE: 320GB SATA. LAPTOP SPECIFICATIONS. OPTICAL DRIVE: DVD Player. 1366 x 768 Maximum Resolution. 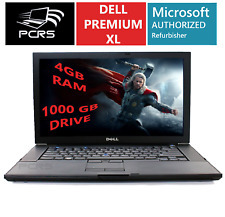 4 out of 5 stars - Dell Latitude E6320 Laptop i5 2.5GHz 4GB 320GB DVD 13.3"
1 product rating1 product ratings - Dell Latitude E6320 Laptop i5 2.5GHz 4GB 320GB DVD 13.3"
The 4K (3840 x 2160) resolution boasts impressive color and clarity. Screen Resolution: 3840 x 2160 (4K). Learn more. Weighs 4.5 lbs. Connect it to an HDTV or high-definition monitor to set up two screens side by side or just see more of the big picture. 1TB 5400 rpm Hard Drive. Full DELL Warranty Condition. Product details. Fully inspected and work in excellent condition. upgraded to windows 10 pro and ready to use. This computer was in an excellent condition. NEW WINDOWS 10 - eBay SALE!!! DVD CDRW Combo Drive. Computer Specifications:DELL LATITUDE E Series. Docking: connector for the Latitude E/Port-Family, Advanced Port Replicator, or E/Dock-Family Expansion station. Ethernet LAN: RJ-45 port (10/100 Ethernet LAN). New ListingDell inspiron15. 3542. i3. Win10. 4 ram. 450 storage. Dell inspiron15. 3542. Used slightly. Still in perfect working and cosmetic conditions. Battery holds power like new! Feel free to ask any question. 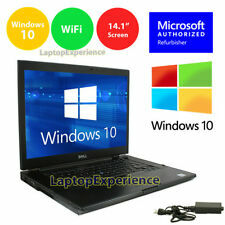 5 out of 5 stars - Dell inspiron15. 3542. i3. Win10. 4 ram. 450 storage. 3 product ratings3 product ratings - Dell inspiron15. 3542. i3. Win10. 4 ram. 450 storage. Trending at $264.00eBay determines this price through a machine learned model of the product's sale prices within the last 90 days. 256 GB SSD. This pre-owned unit has been tested and is now ready for use. (Tested and full functions, R2/Ready for Resale). The Hard drive has been wiped and a new copy of windows has been installed (COA included). Latitude E7240. Best way of recycling is by reusing. bottom has normal scratches from usage. Make: Dell. 15.6" laptop with a black finish and lightweight easy-open design creates a PC that matters to you. The touch screen allows you to easily manipulate app and objects directly on the screen. Docking: 280-pin connector for the Latitude D/Port-Family, Advanced Port Replicator, or D/Dock-Family Expansion station. Microsoft Windows 7 Pro COA affixed to the computer. Microsoft Windows 7 Pro. Burn CD's, Play DVD's and Music CD's, Load Software and Much More. 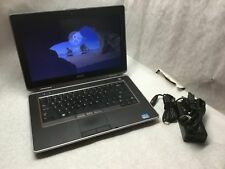 Dell Inspiron 15 3000 series Laptop. Appears brand new and will be shipped with original box. Shipped with USPS Priority Mail. Intel i3 Processor HDMI and Webcam! 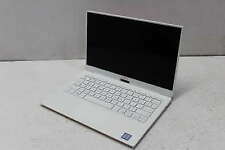 Dell XPS 13 9343 13.3in. Notebook/Laptop - Customized. Condition is Used. Shipped with USPS Parcel Select Ground. Resolution: 1920 x 1080 ( Full HD ). 9/10 condition. Shows signs of use, but very clean. Machine works great. Main Storage: 16 GB SSD - (M.2). Type: 13.3" Non-Touch. Technology: DDR3L SDRAM. Processor Type : Celeron. Product Family : Inspiron 15-3000. 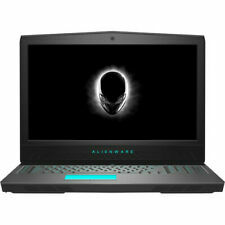 The processor also features a boost speed of up to 2.48 GHz and the system's 4GB of 1600 MHz DDR3L RAM allows the computer to quickly access frequently-used files and programs, as well as help to ensure efficient multitasking. Core I5 Processing to run your application faster! 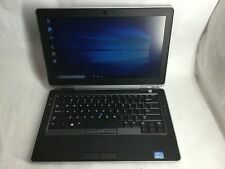 Dell Latitude Laptop. It have wireless capabilities connecting you to any open Wi-Fi HOT SPOT at Restaurants, Airports, School & Universities, your Workplace. WINDOWS 10 - SALE - GREAT DEAL !!! Trending at $188.00eBay determines this price through a machine learned model of the product's sale prices within the last 90 days. Touchscreen Yes. Product Line Inspiron. Processor Manufacturer AMD. Hard Drive Capacity 500 GB. Introducing Dell Cinema with incredible sound and streaming. Product Type 2-in-1 Notebook PC. Training / Self Study. 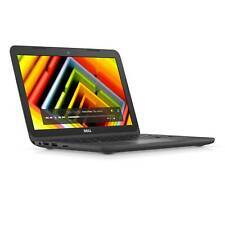 New Dell 15.6" FHD Touchscreen 15 5000 Series Laptop. 12GB DDR4 2400MHz RAM. 1TB 5400 RPM SATA Hard Drive. Backlit Keyboard. Features : Backlit Keyboard. Screen Type : Touchscreen. RAM Included : 12 GB. Brand: DellProcessor: Intel Core i3 8th Gen.
1TB 5400rpm Hard Drive. 8GB DDR4 2666MHz RAM. Dell Factory Hardware Warranty (Expires September 2019. Manufacturer Refurbished ~ FACTORY SEALED ~ Dell Factory Warranty. ). Dell inspiron15. 3542. i3. Win10. 4 ram. 450 storage. 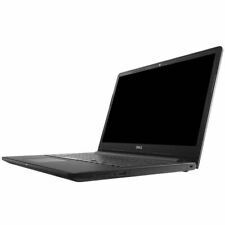 Dell W0JKY Latitude 3590 Notebook with Intel i5, 8GB RAM 256GB SSD, 15.6"
Whether you need a high-end gaming laptop or a simple netbook for surfing the internet, Dell offers a product that fits your needs. With a full range of portable computers from the Dell Inspiron to the XPS, these computers are made for every kind of user. 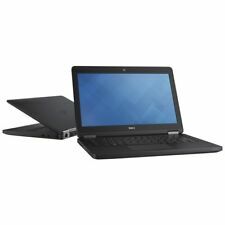 Dell laptops are fully Windows compatible and contain a wide variety of possibilities while Dell netbooks include the Google Chrome operating system. What kinds of processors are included in Dell laptops? 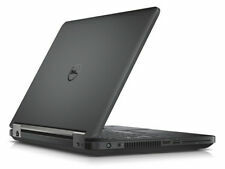 Dell primarily offers laptops and netbooks with Intel processors, but they do also produce some models with AMD chips. Laptops and netbooks can be equipped with a full range of Intel processors, from the entry-level Celeron and Pentium series to the more advanced Core i3, i5, and i7 processors. AMD-equipped computers come with the A-Series processor in various configurations. What models of Dell netbook are available? Dell offers two models of Chromebook with an 11- and 13-inch screen. These netbooks are available as either a conventional folding computer or as a 2-in-1 that can be used as a tablet. These offer between 2 GB and 4 GB of RAM and enough space to store files on the local computer. Dell Inspiron - The Dell Inspiron line offers a wide range of conventional and 2-in-1 laptops that are offered in screen sizes ranging from 11 inches to 17 inches. The Dell Inspiron 5000 and 7000 are available in a separate "Gaming Series" line that offers higher-end NVIDIA GeForce graphics, to make for an excellent gaming experience. 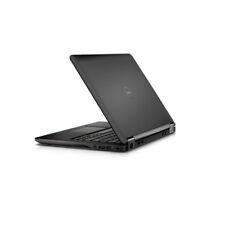 Dell Latitude - The Dell Latitude is catered more towards business users that need a capable, secure laptop that is both powerful and easy to travel with. These computers are available with screens ranging from 12 inches to 15 inches and are designed for ultimate portability. The Latitude 7000 series offers an Intel i5 processor, 4 GB of RAM, and a SATA hard drive in a package that weighs only three pounds. Dell XPS - The Dell XPS offers high performance designed for gaming and development. These laptops include the InfinityEdge display system that pushes the edge of the screen out to the very edge of the computer, maximizing the screen size relative to the size of the computer. The XPS 13 is the entry-level model and features a 13-inch display, a solid state hard drive, and an i3 chip. The top-of-the-line XPS 17 includes a 17-inch display and an i7 chip in an efficient package.